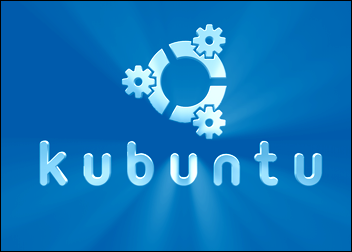 I was absolutely gobsmacked when on June 1st I went to the Kubuntu site and as promised the new version was actually there, released, on time and everything. Amazing. Aside from its really stupid name, Dapper Drake seems to be a pretty decent OS - It's fast, stable, the new live cd based installer is much nicer than the old text based one and will be much less intimidating to the n00bs. There's a new version of Automatix available for it already which takes most of the pain out of configuring everything - It does your nvidia drivers for you, sorts out multimedia codecs and installs libdvdcss for you, as well as loads of other stuff like new versions of Firefox and Thunderbird and their needed plugins like flash and mplayer. There's also a program called Swiftfox which is basically an optimised version of Firefox for specific CPU types. It'll also do DVD and stream rippers, the new version of OpenOffice.Org, Amule, Gftp and all sorts of usefull apps and system tweaks which make Dapper instantly useable. I also have it running KDE 3.5.3, Amarok 1.4 (although this doesn't work totally properly yet), VMWare is easily installed and configured, and from what I gather from reading the forums Xgl is pretty easy to set up, although I haven't bothered because from what I've seen of it so far Xgl is, while being very pretty, far too unstable for everyday use at the moment. I'm going to be keeping an eye on it though, because if they can make it stable it's going to be great. They've also fixed loads of the minor irritations from Breezy - monitor power control now works properly for example. So far I'm really impressed with this and would recommend anyone to give it a go whether you've used Linux before and are pondering a new distro, or if you're thinking of giving it a shot for the first time. On the flipside, I installed the new version of SuSE, 10.1, and that lasted all of a day and a half before being wiped. I have no idea what the hell they've done to it but this OS seems to have gotten WORSE since the last release - I quite like SuSE 10 but it was full of irritating little bugs, and the updating system was so slow it was virtually unusable, so I was quite looking forward to trying 10.1 hoping that all of this would be fixed. But no. Not only have they not fixed the irritations (like Yast. Yast is one big horrible irritation), but they seem to have packed in a load of new bug ridden, thoroughly unstable apps and then shoved the whole thing out of the door half finished. It's a shame because if SuSE could make their OS a little less frustrating to use, and sorted out their update mirrors then it could easily be the best distro out there. It's already one of the best looking, but it's just too unstable and requires too much effort to set up. This combined with the obscene amount of time it takes to install (bloated with unneccessar packages maybe?) and the fact the SuSE still insist on crippling the multimedia capabilites of their distro means that for the time being at least, I'll be sticking with Ubuntu. Ubuntu is great and Dapper Drake makes it even better!